…a beautiful boutique hotel in the Swiss mountains. Or better said, the place where the probably most famous mountain in the world has its home. The “Matterhorn” is world famous for its shape, cause it looks like a painted mountain and Zermatt which is car-free is so idyllic and typical Swiss. The embodiment of “Swissness”. No wonder it is a hot spot for every tourist traveling to Switzerland. And even for Swiss people it’s a perfect getaway either for skiing in winter or hiking and relaxing in summer. Every time traveling there, I am impressed how beautiful the little village is in the middle of the wonderful nature surrounded by high mountains. 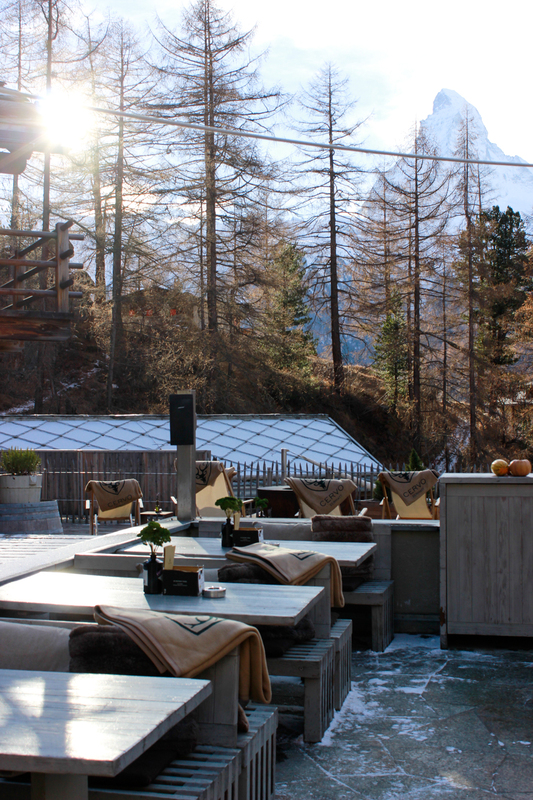 I’ve been already several times in Zermatt, but it was the first time staying in the beautiful boutique hotel CERVO Zermatt which is built within the mountain. Already before arriving there, I heard so many good things about the hotel and my expectations were quite high towards the hotel. And I can say it right away: I didn’t get disappointed. The whole stay was just one amazing experience. Starting from the service of the hotel staff which was very friendly and courteous to the comfortable and cozy hotel rooms, which are located in different chalets. The rooms were in a typical Swiss style with lots of wood and charm. And of course a balcony with the best view to the “Matterhorn”, you know the world famous Swiss mountain. Moreover, each chalet had its own private little spa where you have everything from sauna, showers, relax room and whirlpool (with view to the “Matterhorn” of course, you know). 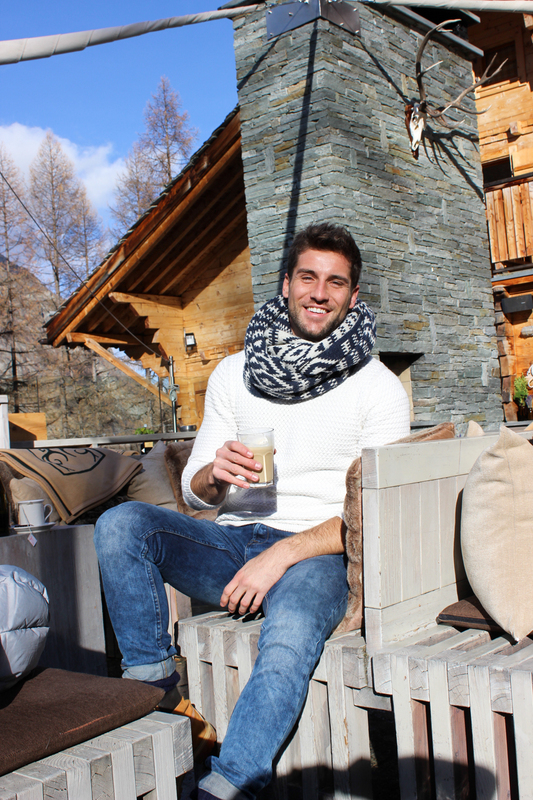 So it’s perfect to relax after a day of skiing, hiking or strolling through the city. And for the ski fans among you, the hotel is directly located next to the ski slope. You know what that means: easy to get home by the end of the day and there is always an après-ski party taking place on the big terrace (with view to the “Matterhorn” of course) of the hotel. So, I definitely need to come back when the ski season has officially started. But what I could enjoy, no matter of the season, are their delicious culinary offers. On Friday night, we enjoyed an amazing dinner in the Gault-Millau restaurant of the hotel named “CERVOPuro” and on Saturday night, of course what shouldn’t be missed when in the Swiss mountains, a traditional cheese fondue in the new wine and gin cellar. Overall, it was just a relaxing and wonderful getaway in a beautiful location with good food, perfect company and lots of fun. What more can you wish for?